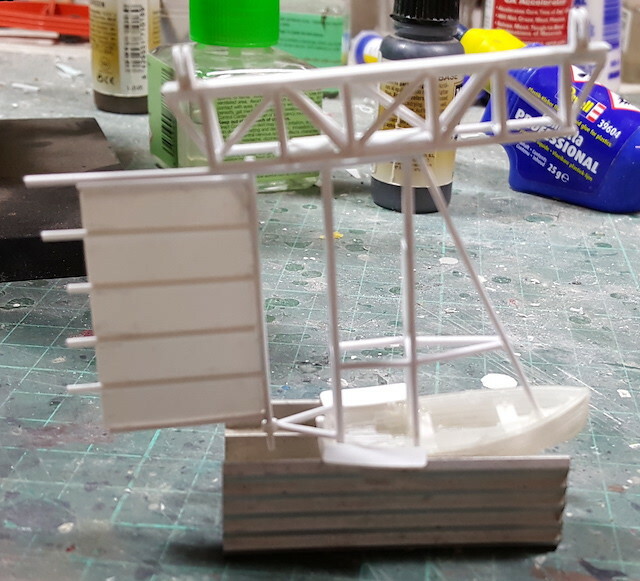 Re: Sky Pirate Flying Dinghy. The gas bag attachment trellis is complete but not attached yet. 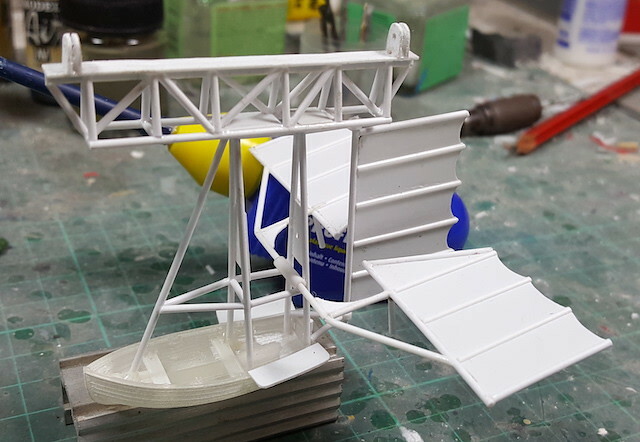 The rudder is incomplete. I will be building elevators the same way. but didn't effect its efficuency. Thank you Jon. A font of interesting knowledge as always. That's 1mm half round glued onto thin sheet. It's an experiment in scratchbuilding. 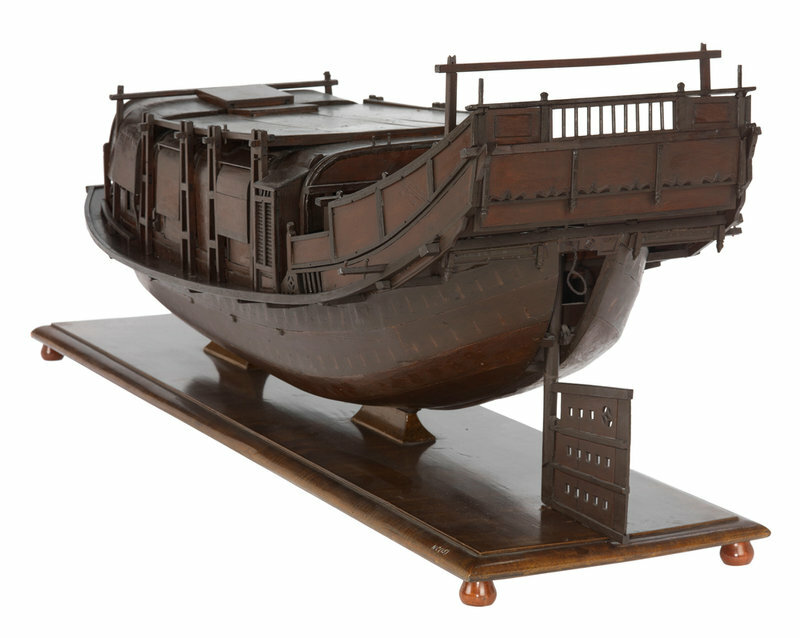 I dunno if this is applicable to your model, but since we're talking about Chinese Junks, I read somewhere that they have a compartment right aft that is open to the sea through a series of holes in the transom. These holes act to slow the movement of water into and out of the craft, and this mitigates the effects of waves on the vessel. Sounds like a primitive automatic ballast system, which a gazzunda (goes under) sailor should understand. As an ex-birdie (aviation) sailor, I don't think I can figure it out from that description, though. Something doesn't gel in my head about it. So very Catch that Pigeon. Didn't Professor Pat Pending's Convertacar have a boat hull in Whacky Races? Every time I see this I keep humming "Those magnificent men....."